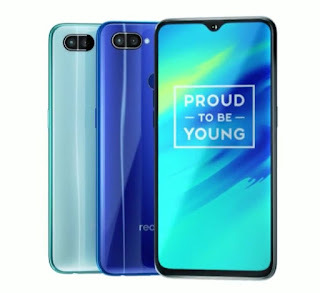 After Realme 1 and Realme 2 Realme today launched Realme 2 smartphone in India which comes with Dewdrop Notch Display & Snapdragon 660 Processor. Realme 2 Pro comes with 6.3-inch (2340 x 1080 pixels) Full HD+ 19.5:9 aspect ratio display powered by Qualcomm Snapdragon 660 Octa-Core processor with Adreno 512 GPU. It comes with 4/6GB of RAM with 64GB Storage and 8GB RAM with 128GB internal Storage. On camera it has a 16MP rear camera with LED flash, f/1.7 aperture, secondary 2MP camera and 16MP front-facing camera, f/2.0 aperture. Packed with a 3500mAh battery.